My Grandfather Mr. William Johnson Sloper bought his family to Essex from Banbury near Winchester in Hampshire about 1906-7 when his son Sidney Frederick [my father] was 6 months old. 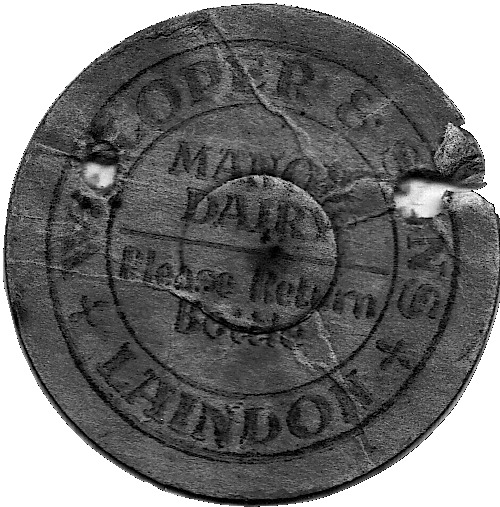 A dairy was established with his small herd of cows that William bought with him and his family when they moved to the area travelling up from Hampshire by rail. 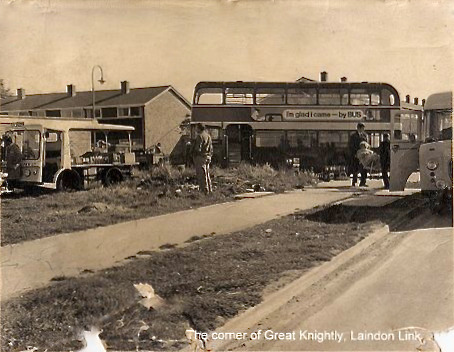 They settled in their property on the unmade west end part of King Edward Road, Laindon. We do not know exactly where the farm was located but it was from here that he built up milk rounds in the local area delivering the milk to some 200 inhabitants on his rounds. 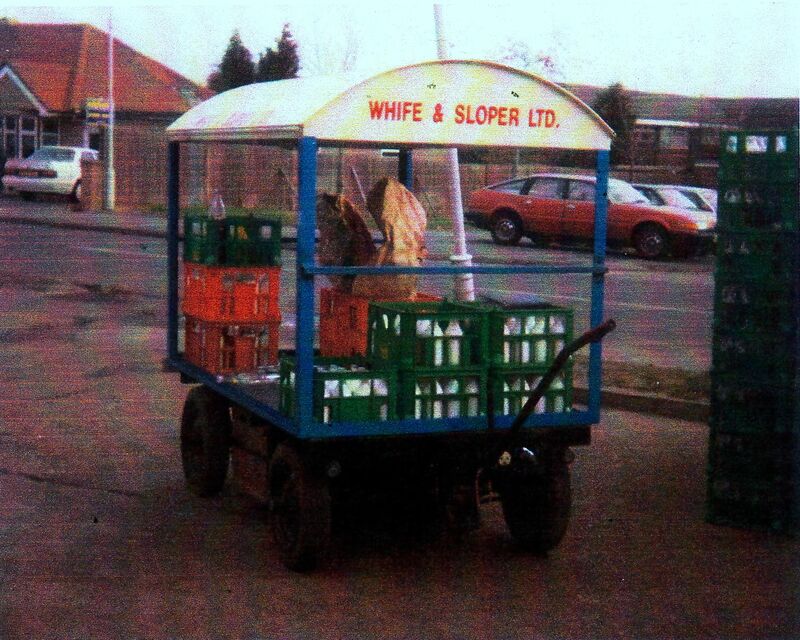 This dairy company was known at that time as W. Sloper & Sons. The area that they covered included Lee Chapel where another dairy A. Whife & Son were based so some competition between the two firms was inevitable. My father Sidney grew up here in Laindon and went to Langdon Hills School until he was 14 years old after which he started delivering milk from large churns on his horse and cart. Later he delivered the milk on these rounds by motor bike and side car. 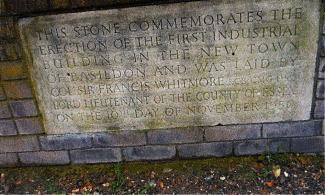 It is not known what year the family moved to “The Manor House” in Manor Road but it was from this property that the family continued to run the business for many years. William at some time sold his herd but again it is not clear when this would have been. 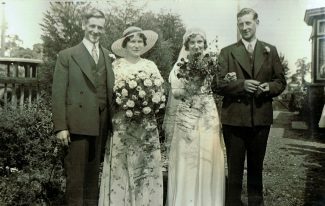 The Slopers were the last family to live in The Manor House after which it was demolished to make room for more development. 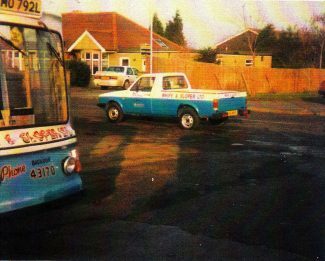 My father was friends with Tom Webster [he owned the local bus company] and lived next door to our family in Manor Road. 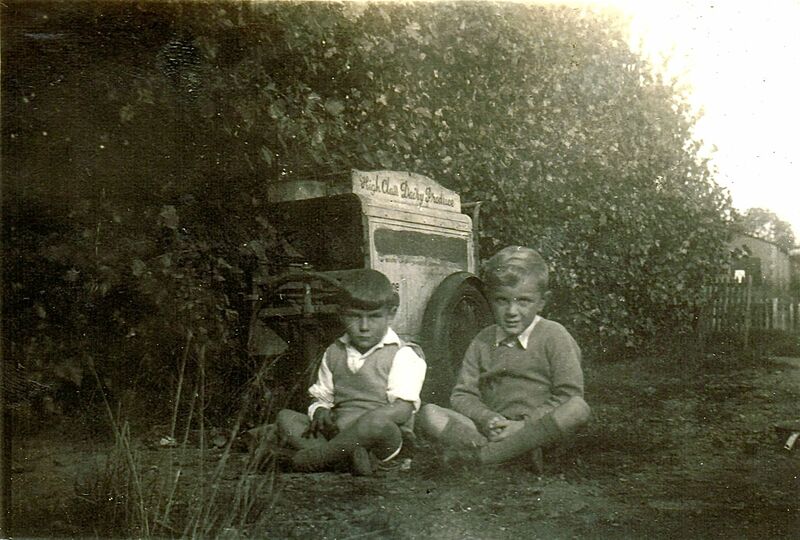 It is believed Tom took my father out on his buses to teach him how to drive in the early years on many occasions. 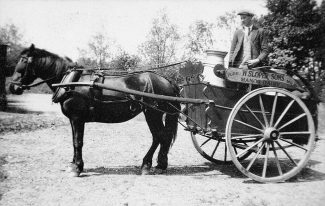 Before milk was pasteurised it was sold ‘raw’ when it was delivered, the milk men would deliver twice daily using a ladle to remove the milk from these large churns for their customers. 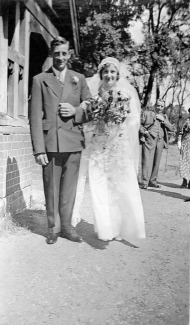 My father Sidney & mother Mabel were married at Bowers Gifford Church in 1935. 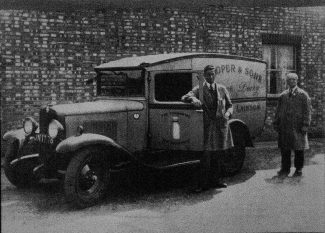 They lived in Berry Lane for a while, then my father had a dairy built in Laindon High Road on the south side junction with Victoria Road, by this time the dairy was known as W. J. Sloper & son. 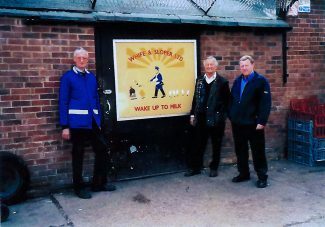 It was on these premises that the milk was bottled daily ready for delivery. My parents lived above the shop and my mother who was well known by Laindoners worked serving customers in the dairy below. By now my grandparents had moved to Noak Hill where they lived until they passed away, my Grandfather William in February 1953 aged 93 and Grandmother Edith in 1965 aged 92. In about 1933 milk started to be bottled. 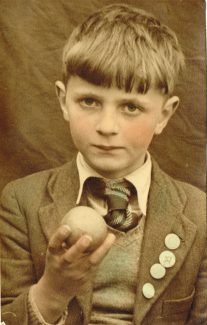 The deliveries included local schools, large churns for the kitchens and the small 1/3rd pint bottles that the children drank daily at morning playtime. Hands up those who remember the bottles being frozen in winter and warm in the summer and drinking from a straw after punching a hole in the cardboard lids on the bottles that were used in the early days. Later these were replaced by silver foil tops. My mother Mabel washed all of the bottles by hand five days a week which was a formidable task. 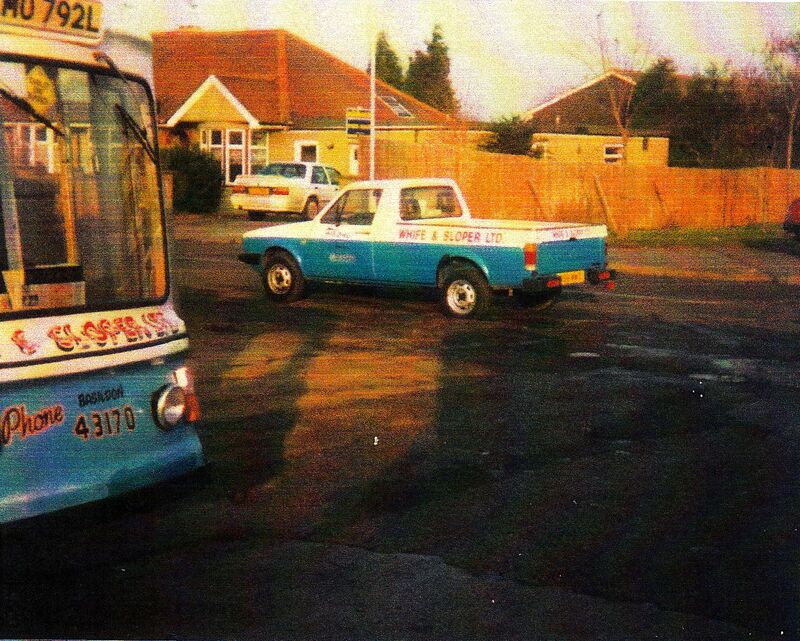 Just a few schools that we served were Markham’s Chase, Laindon Park, Langdon Hills and Laindon High Road. 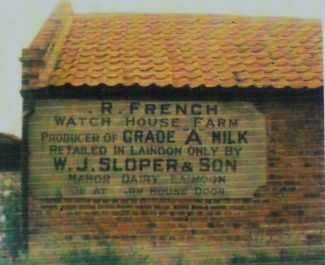 The milk for the dairy was supplied by Mr. French from Watch House Farm in Wash Road, Laindon. 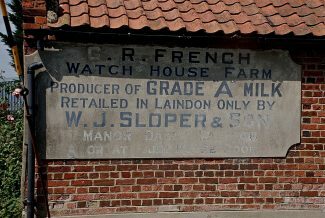 Still to this day on the farm wall although slightly faint is the message ‘W.J Sloper & Son, Grade A Milk’. 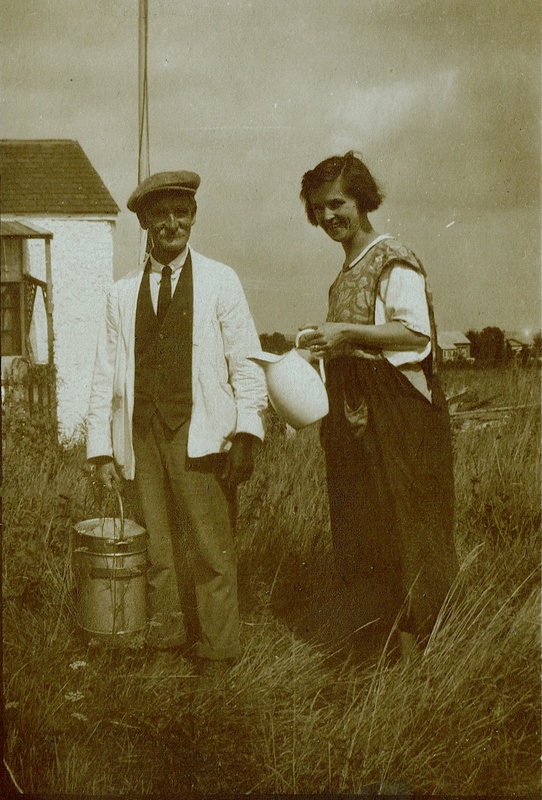 During the war years milk rounds were zoned so the various dairies had a fair share of customers but apparently not all the family firms “played ball” or by the same rules!!!!! Like most other things during those desperate times it was each for themselves. Some years later my father Sidney went on to own a Chevrolet van, [he thought he was the ‘bees knees’ in this vehicle] after this he owned a Ford Y van to deliver the milk on the rounds in the area. 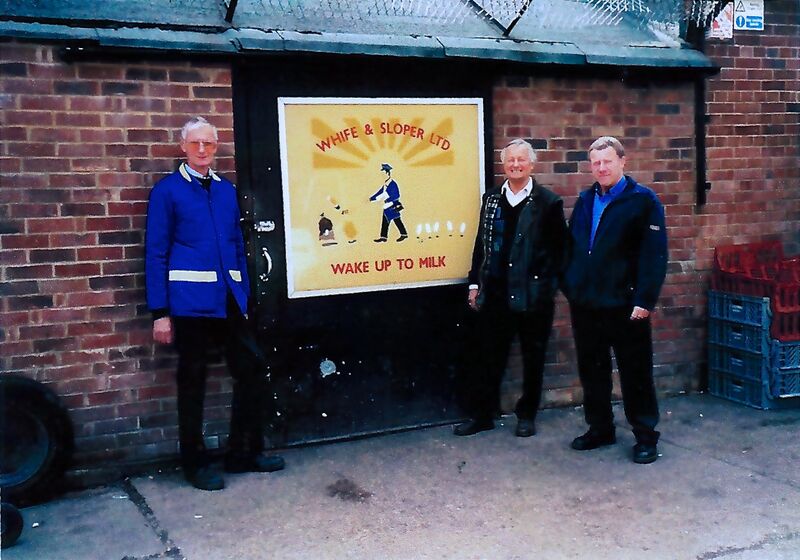 In the 1950’s the milk was pasteurised and Charles Markham together with most of the other local dairies built a processing plant in Cranes Farm Road, this was called South East Essex Wholesale Dairies. 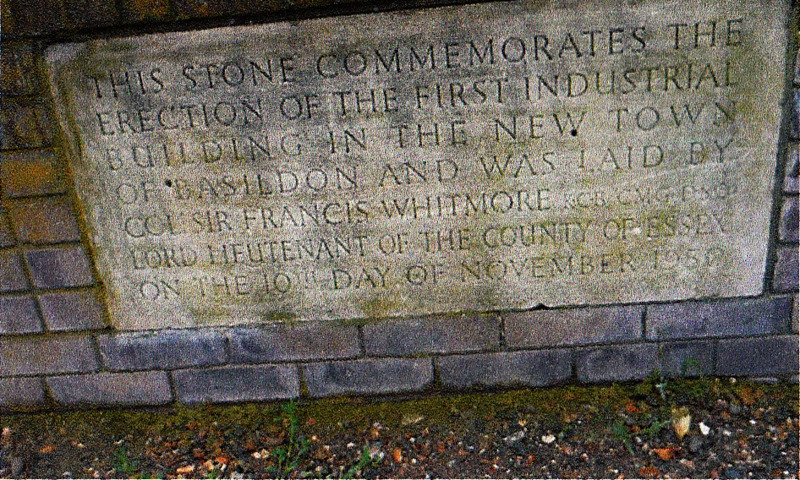 We understand this was the first factory to be built in Basildon. My father added two Ford vans [1-5cwt. & 1-10cwt.] 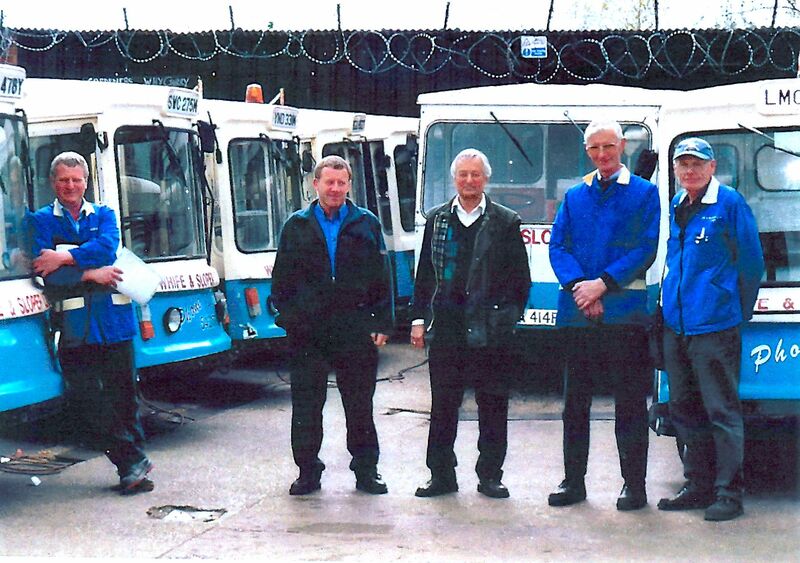 to his fleet of vehicles for the diary. After this a Bedford van was purchased, which had sliding doors that made the deliveries much easier. I was born in Langdon Hills Nursing Home, September 1942, my brother John a year earlier in 1941and we all lived above the dairy in the High Road. Before I started school I used to enjoy going on the rounds with dad for the ride while he delivered the dairy products to his customers, this could include eggs and cream as well as the milk. 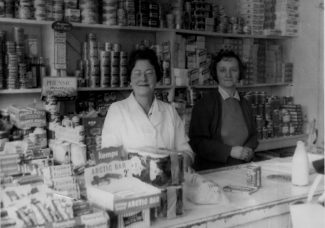 I can remember helping to stack the shelves in the shop to help my mother, this also helped to supplement my pocket money. 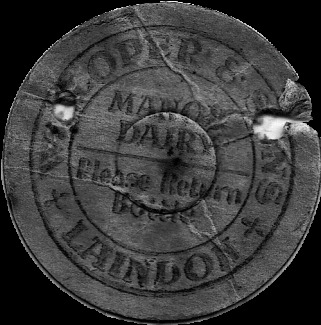 I attended Markhams Chase School, walking along St. Nicholas Lane and often taking short cuts though various paths and fields along the way or if I was lucky being given a lift on the horse and cart that Mr. Daniels [from the Shoe Repairers shop in High Road next to our dairy] owned, this of course was a real treat. I remember an extension being added to the back of the dairy so a bedroom and games room would give my brother and myself more space to play darts, billiards etc. The said billiard table came from Sadlers Farm in Basildon and it got a great deal of use. My brother still has the table but although still in working order, does not see much action these days. Not bad value for money after all these years. I started Laindon High Road School together with my best friend Michael Pratt who was also a pupil at Markhams Chase with me. Our School lives were pretty uneventful but I do remember that my favourite subjects were woodwork, metalwork, maths and handwriting. Together with Michael’s brother David we remained friends throughout the years and I am still in contact with Michael after all these years. 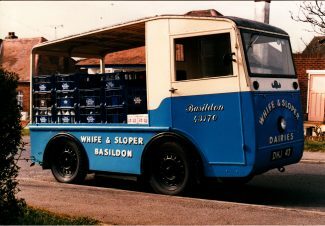 When I left Laindon High Road School in 1957, I worked in London for a while and then decided to join the family firm delivering the milk. 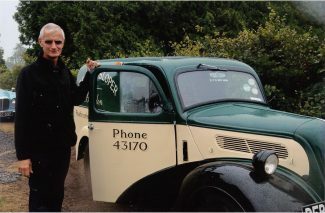 I took my driving test in our Bedford CA van. 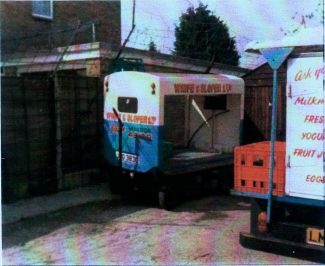 As this vehicle was used for the milk rounds, it did not have a passenger seat so we had to improvise by using a milk crate in its place, so the examiner could be seated. What Health and Safety issue!!! In 1960 I bought a Ford 100E van and used it to do the rounds delivering milk around the Laindon area. We still supplied milk to the local schools at this time until we lost the contract to Smiths Dairies. 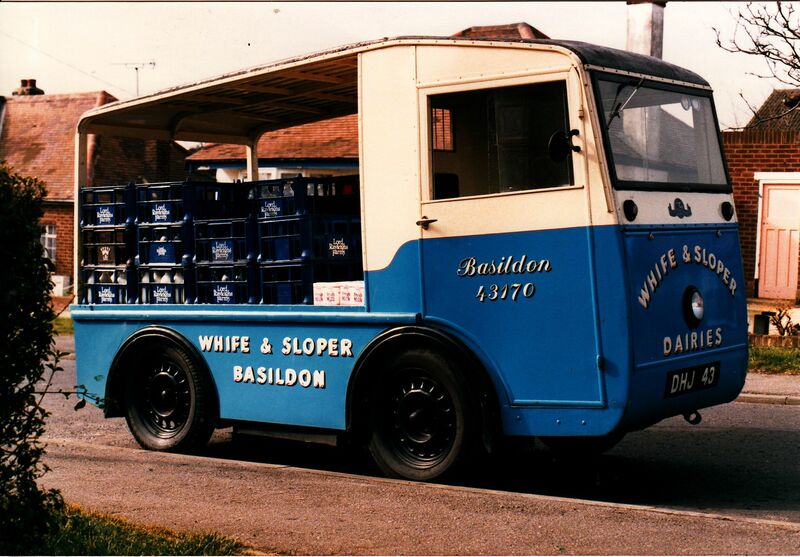 In 1969 the Basildon Development Corporation compulsory purchased our dairy in the High Road and also in that year I joined forces with Ray Whife and that’s when Whife & Sloper Dairy came into being. 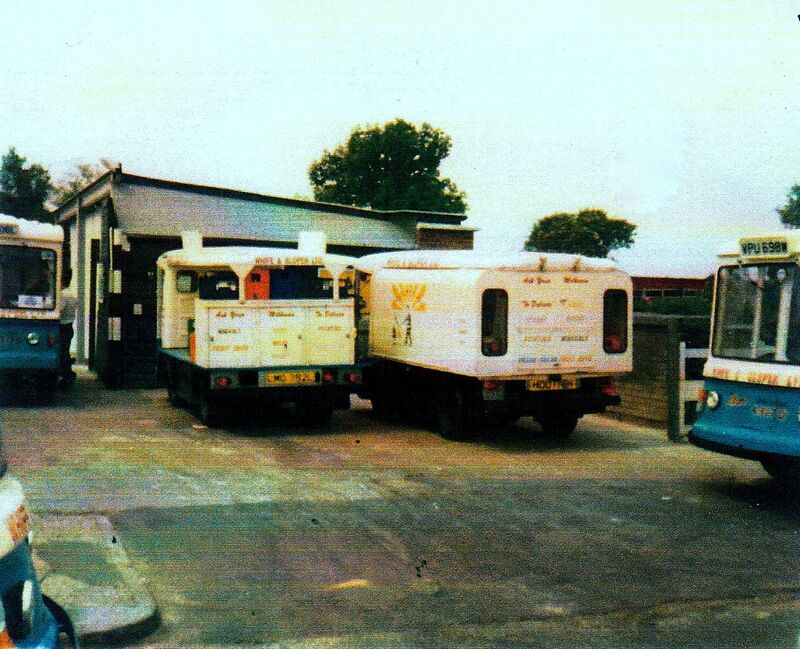 In the 70’s Whife & Sloper bought out Firman’s Dairy another local Business. In the 1970’s one of our milk floats was involved in an accident with a bus at the junction of Laindon Link & Great Knightleys. 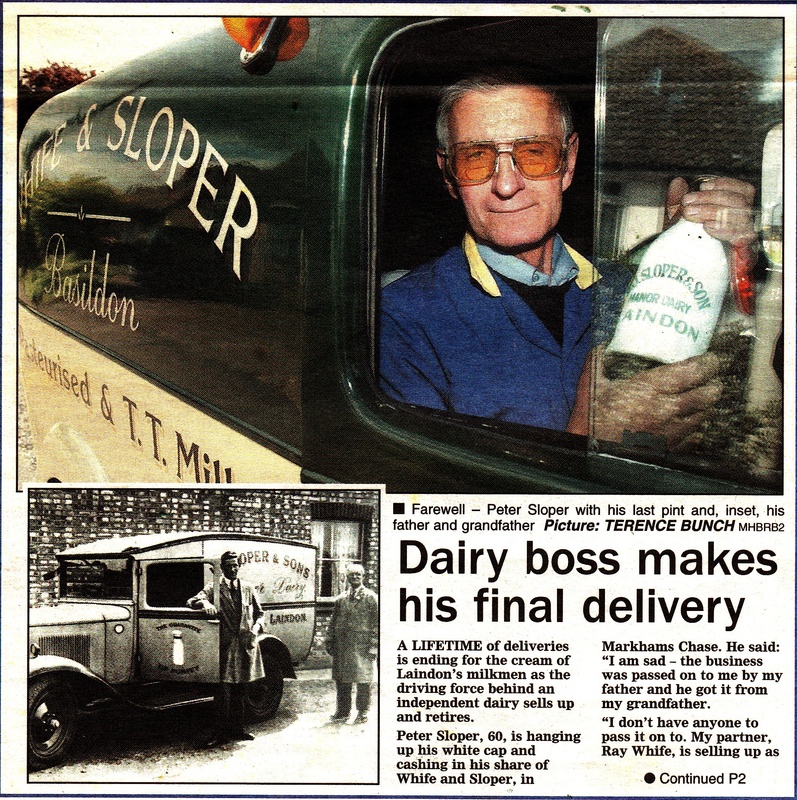 The Driver Tony Willetts standing in front of the milk float, in the photograph, made news in the local paper. 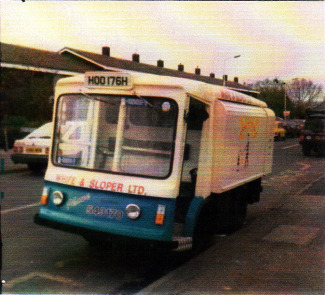 There was another Sloper’s General Grocers in the High Road in North Parade,this was run by my uncle Frank Sloper who was married to Mary Markham from yet another family of dairy farmers from this area. In 1976 I married Pamela who came from Battersea, at St. Nicholas Church, Laindon. My parents retired and enjoyed celebrating their Golden Wedding with their family. 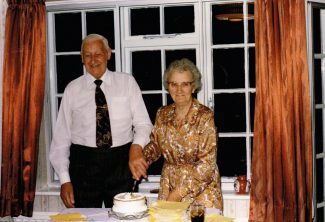 My father Sidney died in March 1992 aged 85 and my mother died in May 1998 aged 87. 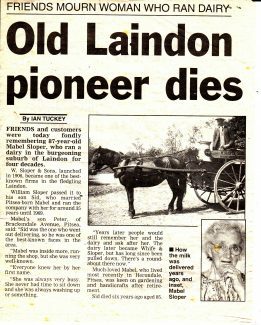 Both are fondly remembered by many old Laindoners for their service to the community over 35 years. 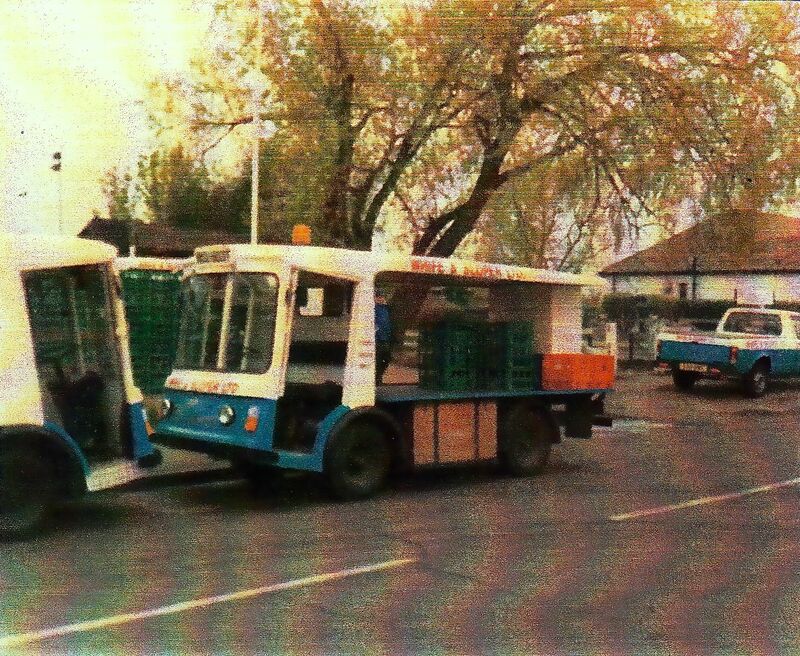 By this time the business had approximately thirty electric milk floats as well as numerous vehicles for the deliveries of not only milk but many dairy products to the customers over the large local area. 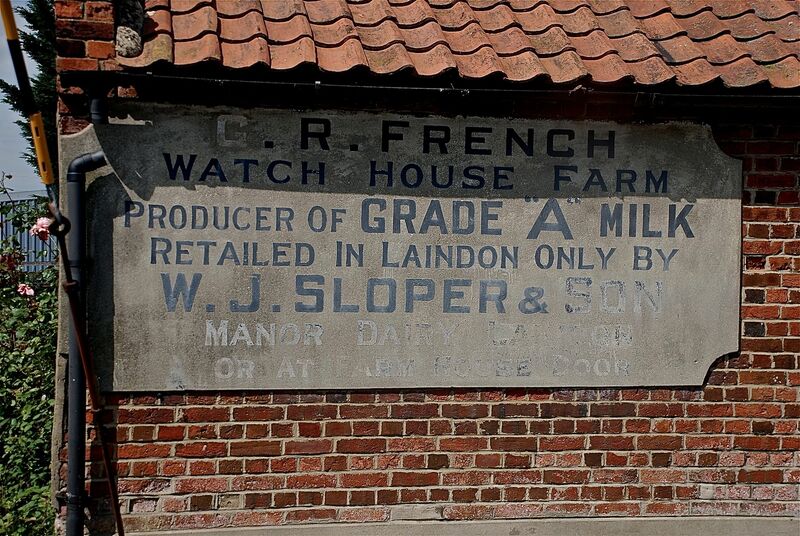 Whife & Sloper continued to trade throughout this time working out of the dairy in Markhams Chase. As Ray Whife and myself were reaching retirement age we decided to sell the business, so on 26th April 2003 we closed the Dairy, it was not an easy decision for either of us and sadly in November Ray Whife died. 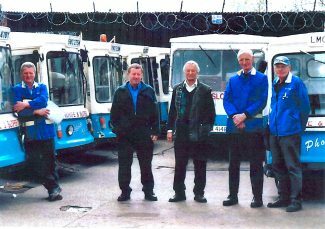 My hobby and passion is renovating my old vehicles and displaying the vintage vans and milk floats that I own. In 2011 I acquired an old milk delivery hand cart from Walton Hall Museum that I have now completely overhauled and painted to add to my collection. 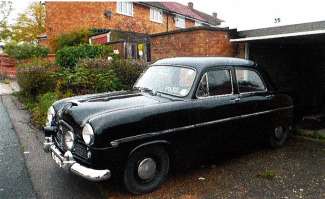 My father owned a black 1954 Ford Zephyr 6 which he used until 1966, I took it over in 1976 and still own this vehicle. 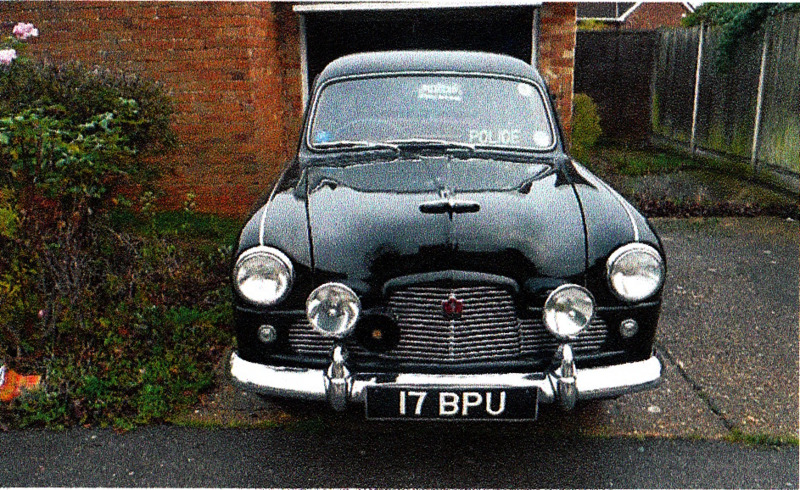 Its moment of glory came when it was used as a police car in a film called Quality of Murder in the 1990s. I take this and various other vehicles to events held around the country, these include:- The London to Brighton Run, Goodwood Revival, Battlesbridge Vintage Vehicle Rally, Barleylands Country Fair & various shows including Ingatestone Hall. I used to go to Chowdhary School in the 1970’s. I remember walking past the dairy as it was right next to my school. I remember quite vividly and was most excited by the lovely sight of the De Tomaso Pantera parked on the driveway of the Dairy. It made my day as a youngster who loved cars. Editor:- Cut and paste links into your browser. 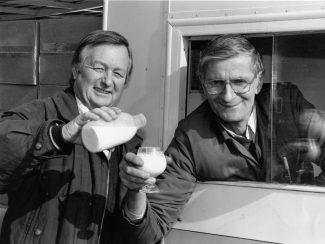 In my teens I occasionally worked for Andy Savage on Friday evenings and Saturday mornings helping collect money and deliver milk, really lovely guy and he delivered our family’s milk for probably more than 20 years until I moved away, very fond memories of Andy, the work and such nice people on the rounds. Best of all was the bacon sarny half way round at Andy’s Mum’s! 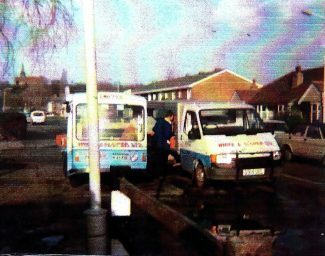 I used to wait by Byron’s shop, top of Windsor Hill for Ray, then jump on back of his van and help him on Saturday mornings. We lived in Basil Drive at the time c. 1959-60. I loved your family history. Did you know my brother Mike Turner? Really enjoyed reading your story, my grandad was Sonny Firman, Firman’s Dairys. My wife and I have tremendous pleasure of knowing Peter and Pam Sloper, visiting them when in the area. 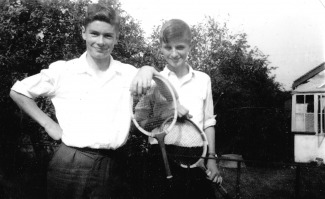 My brother Barry and I used to help Ray Whife once he called at our Tyler Avenue address, and for some time during school holidays. On a recent visit to the Records Office at Chelmsford, earlier records show that William Sloper and his family had lived on the unmade part of King Edward Road. The 1910 Electoral Register shows them living at “Southview” which was part of the farmhouse which was later owned by the Richards family. By 1911 the Slopers had moved to Hillcrest Farm, Railway Approach and then on to the Manor House by 1918. 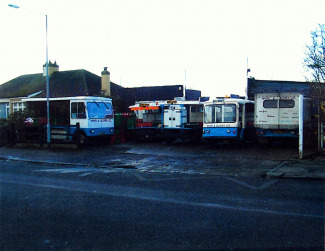 The site of the former farmhouse “Southview and Sunnymead” which is overgrown with trees and brambles is directly next to Ford’s car park. Gillan was my cousin, my uncle Frank’s daughter. He had a shop down the road from us next to to post office. She now lives in Australia having left in the late 60s. She was about the same age as myself so would be about 70. 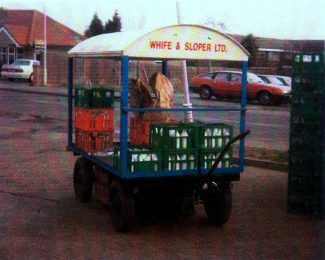 There was a girl in my class in Billericay Secondary School who used to come from Laindon by the name of Gillian Sloper. I wonder if she was related to the dairy family? She would be 70yrs of age now. I think Bill Sloper had been in the navy. I also think that perhaps he worked at Toomey’s (when they were a small firm) with my father, Harry McDonnell. 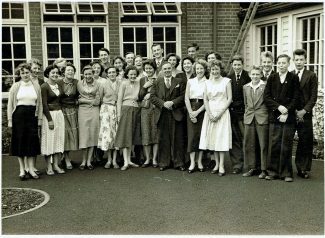 Probably about 70 years ago! I really enjoyed reading that, thank you. My grandparents lived not very far away in the flat above Lloyds Bank, and nanny was a frequent customer. I remember your assistant Liddie (not sure how it is spelt), and another assistant known to me as Auntie Ruth. 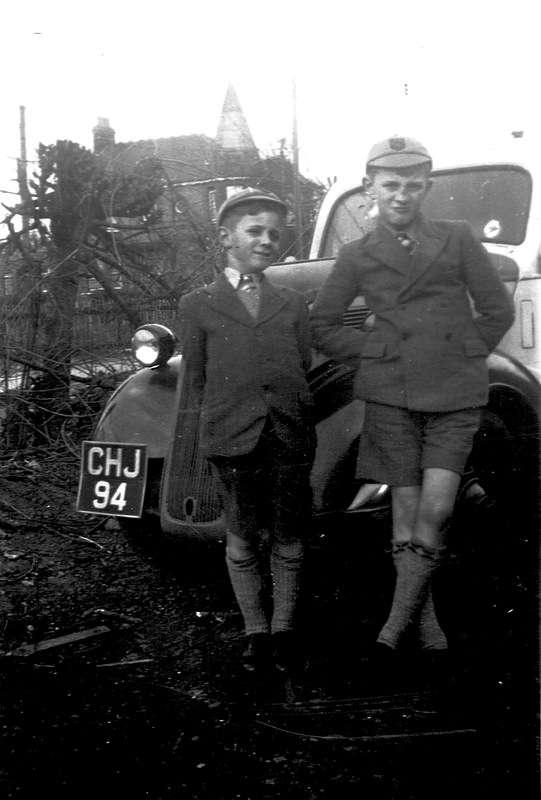 On a Sunday morning my Mum would often send me to your back door from our house in Buller Road to buy something we had run out of, but would never give me half a crown, only two bob. ‘tell them to put it on the slate if it’s not enough’ she said, and I would stand in the inevitable queue at the back door, mortified in case I had to say those words! Hi Peter. In the late 40’s and 50’s Slopers took over the grocery store that was previously Sayers located in the High Road about a hundred yards north of the Hiawatha on the opposite side of the road. They had a bicycle with a basket in front and I delivered groceries for them after school. 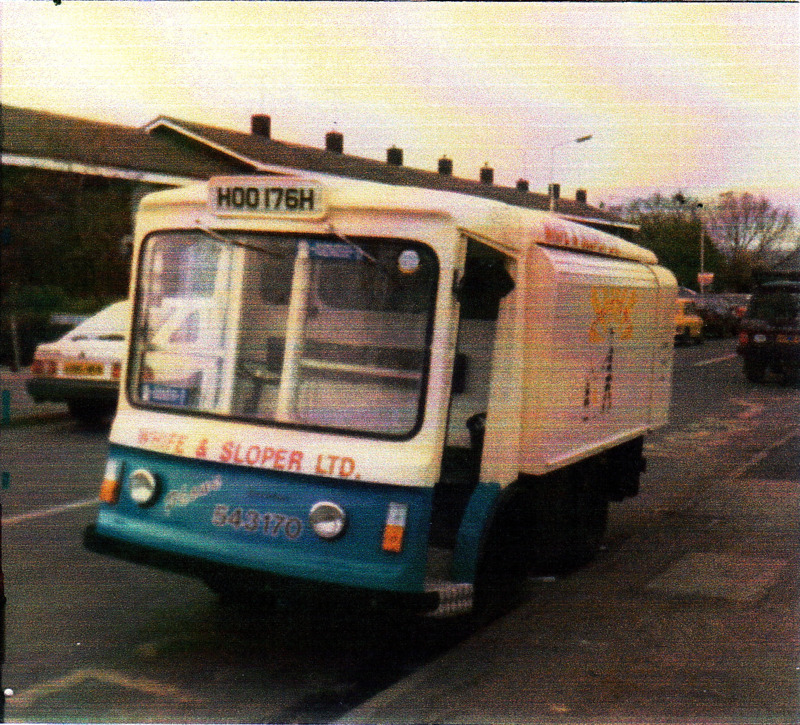 For a short time I also helped deliver milk on Saturdays beginning in the middle of the night. Was this a different branch of the family? Fantastic story Peter, it’s been a long time coming but it’s on here at last. A true hard working Laindon family, enjoy your retirement. My mother in-laws name was spelt wrong it’s Mabel Not Mable Other it was very good. Editor: Thanks Pamela I have corrected my error and will be making an appointment with the opticians. Hi Peter. I enjoyed reading the story of your family and their milk business. I was especially interested to learn that your grandparents had lived on a farm on the unmade part of King Edward Road as that’s where I used to live. My paternal grandparents had a plot there from 1915. 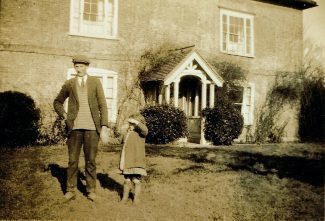 My maternal grandparents also lived there from 1923, initially lodging at the farmhouse ‘Sunnymead’ which belonged to the Richards family from 1919. I wondered if that was where your grandparents had lived before they moved to Manor House. So, I looked on the 1911 census and found your grandparents William and Edith, at that time were living at ‘Hillcrest Farm’, Railway Approach, Laindon, a little further south than I had imagined. 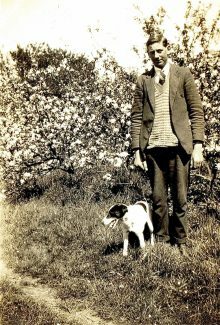 The family are listed as William Johnson Sloper age 51 – ‘Small Farmer’. 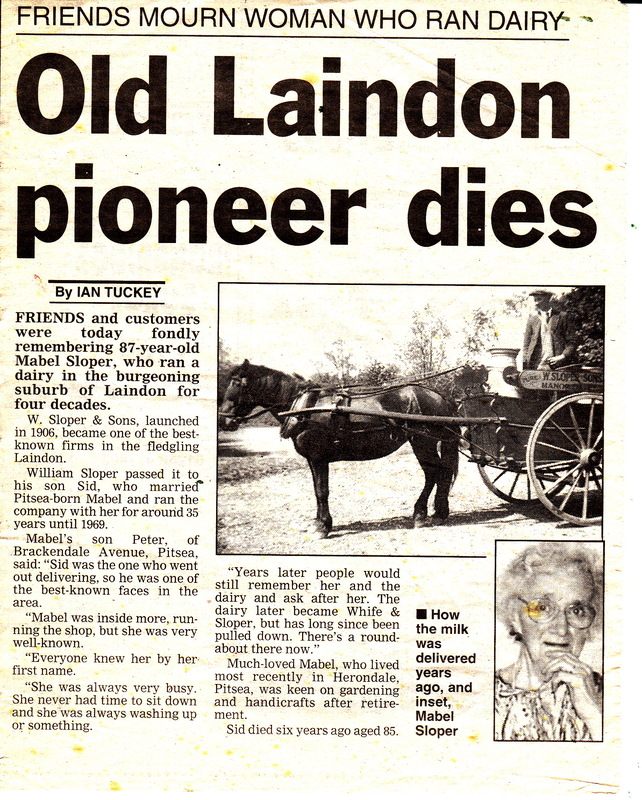 Edith Harriet Sloper aged 38. Eleanor Sloper aged 12. 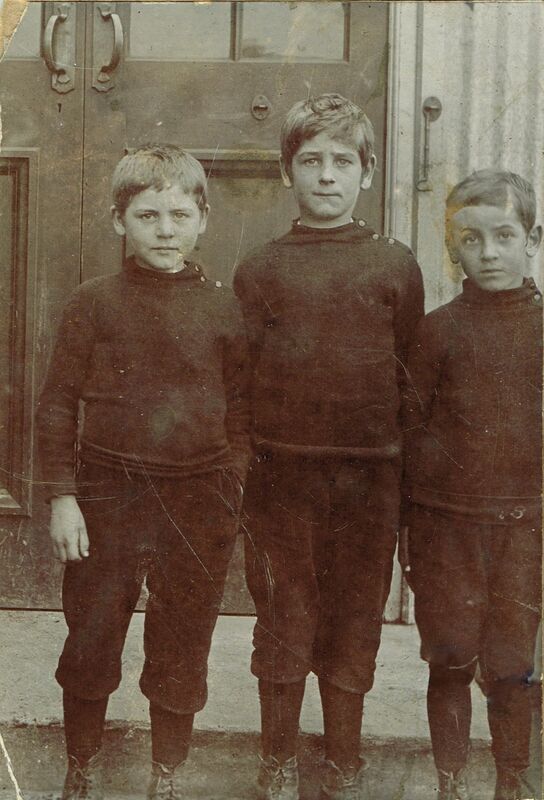 Edith Sloper aged 11. 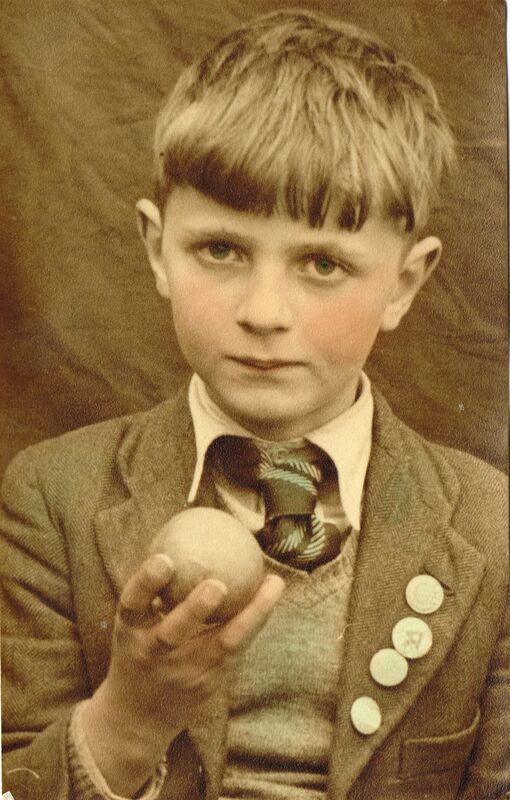 William John Sloper aged 9. Frank James Sloper aged 8 and Sidney Sloper aged 4. The 1918 Electoral Register shows your grandparents at that time were living at the Manor House, Manor Road, Laindon. Therefore, they moved from Railway Approach sometime between 1911 and 1918 – not far to go, just a short walk! I hope this helps with your timeline. I hope you are enjoying your well-earned retirement and I am sure many Laindoners will join me in thanking you and your family for the fantastic service you provided to us for almost 100 years. With very best wishes.